Introducing a new hand blender that's one of the most multifunctional food prep tools in any kitchen. This Smart Stick comes with an electric knife attachment that lets users effortlessly carve a roast or slice a loaf of bread, a 3-cup chopper for nuts, cheese and garlic, and a chef's whisk for meringue and whipped cream. The slim stainless steel shaft is 9.5 inches long with a larger blade and guard for faster results. 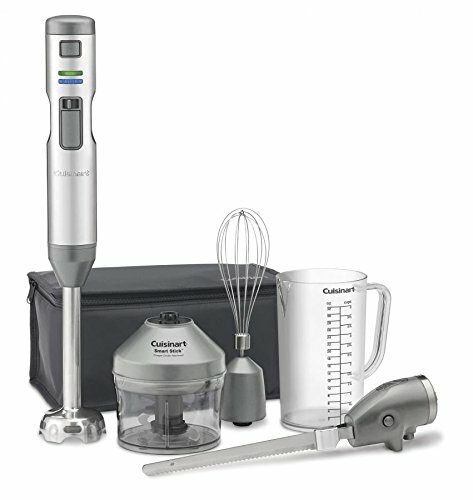 Five speeds and 20 minutes of run time on each charge make this cordless stick blender any chef's all-time favorite!.